Depending on the company's structure, specific tasks can thus be accomplished optimally and relevant data can be exchanged. A bi-directional COM interface allows you to directly access the object-oriented data storage of E³. The systems' strengths lie both in the user-friendly interface and its functionality that complies absolutely with the requirements of the professional user. 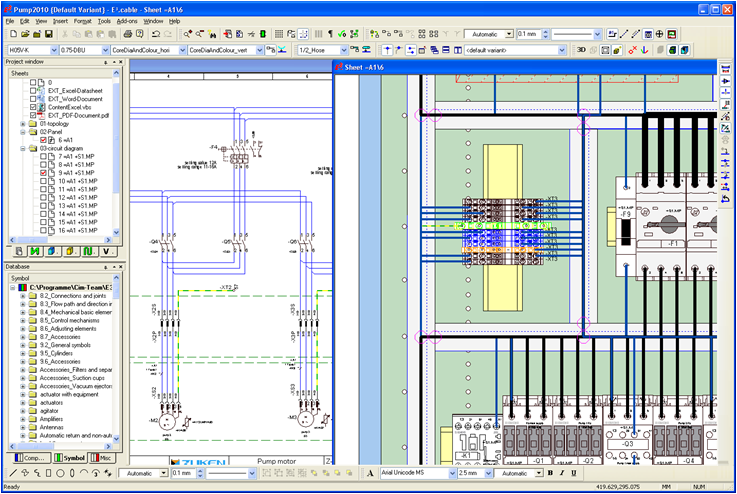 Online cross-references and controls as well as cable- and terminal diagrams help you save time and costs. Interfaces integrated within E³.Schema provide the capability for importing and exporting DWG / DXF / EXF data and the further processing of connection-and component information for control panel layout and thus the control of cable processing machines.